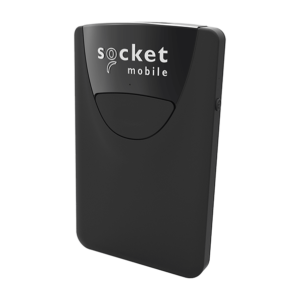 The Socket Mobile 7Ci barcode scanners connect to your Bluetooth enabled tablet or phone wirelessly for fast, easy barcode scanning. Small, lightweight and comfortable to hold. Designed for all-day usage, this lightweight and wireless barcode scanner connects to your device via Bluetooth. Reads most 1-Dimensional barcodes. 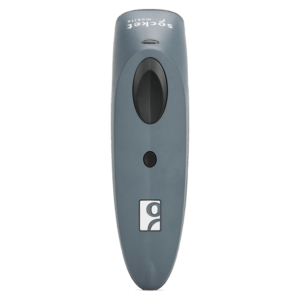 The SocketScan S740 2D/1D imager barcode scanner with Bluetooth wireless technology scans either 1D or 2D barcodes on paper or screen. It has a lightweight, ergonomic structure, and a long-lasting battery to withstand entire work days. The five color options fit most styles and environment needs. The lights for battery, Bluetooth and scanning notifications make the scanner more intuitive to use. Compatible with all applications in previous Socket Mobile barcode scanners, without software changes. Aesthetically simple and elegant to match it’s counterpart, the 1D Barcode Scanner for Star’s mPOP. The following barcode standards are supported. The Socket Mobile 7Qi barcode scanner connects to your iPad or phone via Bluetooth for fast, easy scanning. Compatible with iOS devices, Android and Windows smartphones and tablets. The Socket S700 Bundle includes the 1D barcode scanner which has Bluetooth® wireless technology and comes with a Charging Dock to conveniently charge and store the scanner. Its light-weight, ergonomic construction, and long-lasting battery survive entire work days. Lights for battery, Bluetooth and scanning notifications make an intuitive experience. Compatible with all applications in previous Socket Mobile barcode scanners, without software changes. The Socket Mobile S800 proves big things come in small packages. Helping to minimize data entry, this 1D Bluetooth barcode scanner attaches to your smartphone while remaining small, thin and easy to use. 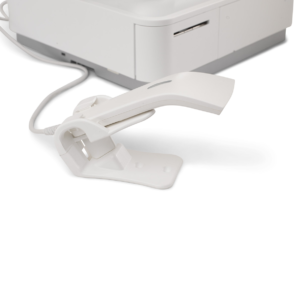 The scanner is optimized for attaching to mobile devices, enabling one-hand operation. The S800 scans barcodes printed on labels or displayed on device screens. Its convenient mini size is perfect for retail point of sale, inventory management, sales order entry, field service, and other mobile business applications. Only 1.27cm thick and less than 48g. 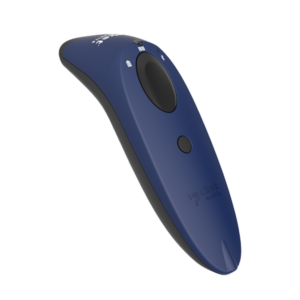 The Socket Mobile S850 is a compact, yet high-performance 2D/1D Bluetooth barcode scanner, attachable to most smartphones. 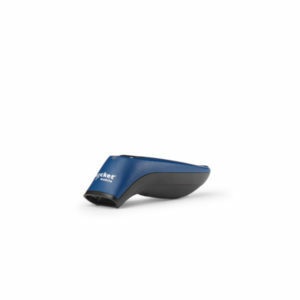 This little scanner enables one‐handed professional barcode scanning printed on labels or displayed on device screens. The S850 is suited for mobile ticketing and high‐end retail environments where 2D barcodes are gaining popularity for security and data capacity. 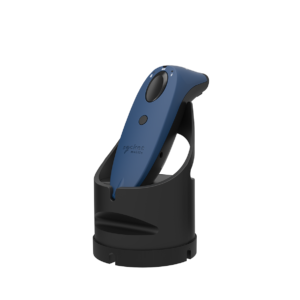 The Socket Mobile S840 is a compact, yet high-performance 2D/1D Bluetooth barcode scanner, attachable to most smartphones. 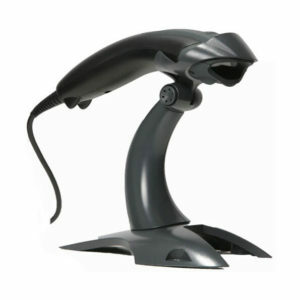 This little scanner enables one‐handed professional barcode scanning printed on labels or displayed on device screens. The S840 is suited for mobile ticketing and high‐end retail environments where 2D barcodes are gaining popularity for security and data capacity.